Angry About the UK Pulling Alfie Evans’ Plug? Don’t stop there. On Saturday, Alfie Evans, a 23 month old British boy died after the UK courts decided his life was not worth sustaining and ordered the removal of life support. Last year the world saw this type of battle and outcome in the UK with the Charlie Gard case. As Benjamin’s mother, I am furious at the fact that parents in the UK are so easily stripped of their right to make medical decisions for their children. The UK’s universal healthcare system finds it appropriate to disregard a parent’s relationship with their child and the right for every human being to live. As Benjamin’s mother, I am also not fooled by any false sense that the freedom I’ve had to make medical decisions for my son means our government or our country values Benjamin’s life more than the UK values the lives of children like Alfie and Charlie. When parents like me talk about dying and the fear of leaving our children behind, it is not because we don’t love our children. It is not because we believe our children are less than. It’s because we know how little support they will have without us. It’s because we know how they are undervalued by the government. It’s because we know our bond and ability to see our child’s worth and determination to live is not equally shared in wider communities. And if we’ve listened to disability rights activists, we know this county’s history is rich with discrimination against our children. There’s a 1917 film called “Are You Fit To Marry?” that depicts the US Black Stork Babies policy which allowed doctors to legally and lethally refuse medical treatment to the disabled. Don’t think this happens anymore? It does. Just recently a family in one of my support groups reported their doctor refused to perform a surgery to correct a common and treatable heart defect solely because their child, like Benjamin, has lissencephaly. Here’s something that blew my mind. Hitler’s first mass murder victims were people with disabilities. I mention this because Hitler’s T4 program was inspired by the American Eugenics Movement. Sure, we’ve come a long way. 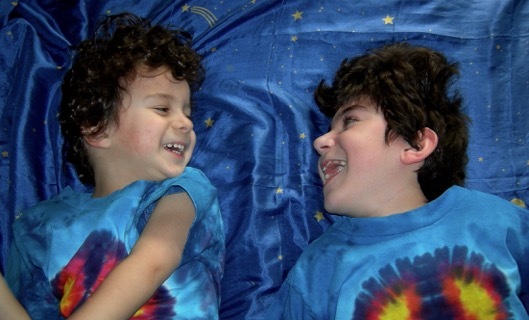 Children like Benjamin and Sebastian aren’t institutionalized anymore, but I’m not lulled to sleep at night by some fairy tale notion about equality and acceptance. Not when I see the proposed amendment to the Americans with Disabilities Act. And not when our education system is laser-focused on creating children who can out-test higher achieving countries, because when we teach that smartest is better (determined by test scores), more desirable, and is equated to success and value, it strains the idea of inclusion and proliferates a system of hierarchy some like to believe no longer exists. I don’t know if I agree with your interpretation. I know that I don’t to live any part of my life on life support. It’s not about whether you or I would want to live on life support. It’s about the courts deciding who is and isn’t worth keeping alive. There’s no way to know the full story about these families and if they were true partners in their childrens’ care, but they had options the courts denied them. I’m not saying I would have made the choices they were trying to make, I’m saying they should have the right to exhaust their options and not be stripped of their parental rights. And I think it’s equally offensive that in the US we do everything to keep medically fragile kids alive but the supports for families and adults with disabilities are still lacking.